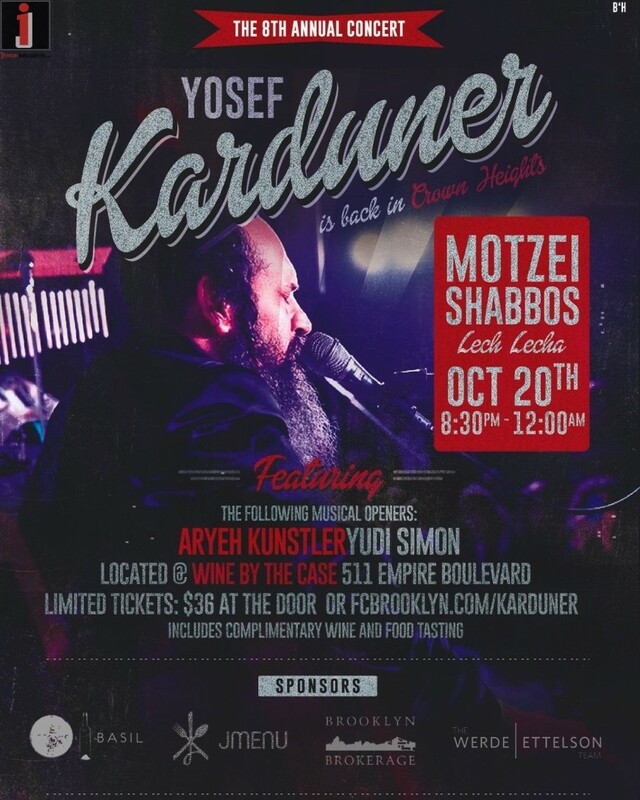 8th Annual Yosef Karduner Concert in Crown Heights! For the eighth year in a row, Yosef Karduner is coming to Crown Heights! As usual, we will have the beautiful music of Yosef Karduner, wonderful openers, wine tasting, and catered food. Come enjoy this once-a-year experience! Yosef Karduner, one of the few world-famous Hasidic musicians, is one of Israel’s top performers and always draws a big crowd when he comes to play in America. As always, there will also be assorted wine and other foods! Come join the event that you only get to see once a year in this special neighborhood!